Apply STEM OPT Extension during Cap Gap, with H1B Visa Picked in Lottery ? Home » F1 Student Info » CPT| OPT| On-Campus » Apply STEM OPT Extension during Cap Gap, with H1B Visa Picked in Lottery ? Some of you in US on F1 visa in 12 month OPT period and in cap gap, might have been lucky enough to be picked in H1B visa lottery and SEVIS your active OPT employment end is date Sept 30th,as you were picked in lottery…. Some of the common questions that are asked by such students is that “ Should I file for STEM OPT Extension ? Does applying for STEM OPT have any impact on my H1B Application. Should I really file it or not ? what are the consequences ?”. Let’s look at this scenario and look at the best way to proceed. Firstly, you need to be very clear that, your petition was just picked H1B Visa Lottery, that’s it…it does not really mean your petition was approved. As you can see in Steps after H1B Lottery Process , your case can go through scenarios like RFE and may even get denied, if you get really unlucky…sometimes, it could be some administrative and clerical mistakes in filing with application that lead to denials…or sometimes, your employer may not be able to honour the job offer due to various reasons, as they had to wait for 6 months…anything can go wrong…The key point to take away from this is that you need to have a backup plan, if things do not work out…If your degree falls under STEM Category, you have a backup option, let’s look at that. Can you apply for STEM OPT Extension, if your H1B Petition was picked in Lottery ? It is confused by some students/ employers that your H1B petition is somehow directly related to your STEM OPT extension and you can only have/do one thing at a time…This is NOT true. Your STEM OPT Extension filing does NOT conflict with pending H1B or your approved H1B petition. In general, until H1B change of status (COS) is approved and the Oct 1st start date of your H1B employment is reached, it is usually possible to file a STEM OPT Extension, without having any negative impact on your current H1B petition. So, if your degree falls under STEM Category and you are in cap gap period, you should definitely pursue this option and file for STEM OPT Extension. When should you file for STEM OPT Extension ? When is the Deadline ? You should file for STEM OPT Extension, which is for additional 24 months, before your current 12 month OPT expiration date. USCIS will not accept STEM OPT Extensions any earlier than 90 days before the current OPT EAD expiration. So, technically, you should file for STEM OPT Extension, when you are in the last 90 days of your valid OPT period. Can I apply for STEM OPT Extension during my 60 day grace period ? STEM OPT Extensions filed after OPT expiration date will not be granted, the simple reason is that you have already extended your status automatically using cap gap provision and now you filing for STEM OPT extension during your 60 day grace period does not work and it may not be granted. Your application for STEM OPT extension filed after 12 month OPT expiration, during the 60 days grace period will very likely get rejected and you cannot work, if your H1B does not get approved for some reason. Can I work on OPT, with STEM OPT Extension in Pending ? Yes, if you file your 24 month OPT extension on time, before your 12 month OPT expires, you may continue to work on EAD even if your previous EAD card given for 12 month is expired until your STEM OPT Extension is processed or 180 days has passed, whichever is sooner. In a nutshell, if you are in cap gap period and you qualify for STEM OPT, do not miss the opportunity to apply for STEM OPT Extension, before your 12 month OPT expires. What has been your experience with STEM OPT Extension ? Any other things that I have missed ? Hey, my h1B has been approved and it took into effect after Oct1. I submitted my opt stem extension on June and it is still “case received”. Do I need to do anything such as withdrawing about my opt extension case? 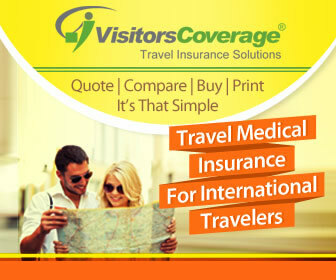 If you have a valid business reason to travel, there should not be any problem for you. I would also recommend you to talk to your Attorney to get more clarification. Good luck on your H1 approval! I have a question regarding to H1b. This is my last chance of getting H1b lottery. However, my SEVP portal has not changed yet. Does that mean that I 100% did not get it already? Thank you. Well, it is hard to tell, sometimes SEVP does not get updated and there has to be datafix done….You should check with your employer….The chances are slim, but again, until you see a reject notice from USCIS it is not confirmed. What about applying for Stem extension if your H1b is approved? You should apply before end of original OPT period, which is 6/15. You will not get STEM OPT extension, if you do it after 6/15. Thanks Kumar for your reply, but doesn’t your article say we can apply for STEM OPT Extension during the “cap-gap” period ? I am in the same situation. My OPT is extended to 09/30 as well and it was supposed to expire on 05/23. The SEVP portal didnt allow me to apply for it before 05/23 and yesterday i met my DSO and they said since your OPT has not expired as its extended you can apply anytime within 120 days of 09/30. Well, you can try sending the USCIS link that says you need to apply before it expires and see, if they get convinced. Check with an attorney via email, if you need some expert advice and use that to inform your DSO. Of course, we cannot force them I guess. You can visit a USCIS center and get opinion as well or call SEVIS helpline and get it confirmed. My original OPT end date is 6/15 & I got picked in the lottery, which means my OPT end date got extended to 9/30. So which end date should I adhere to when filing my STEM OPT extension ? Is it 6/15 or 9/30?